It was a big day, sunny skies, great turnout, and we are now done with TEDxTbilisi 2016! We loved the venue, at the Tbilisi State Conservatoire. 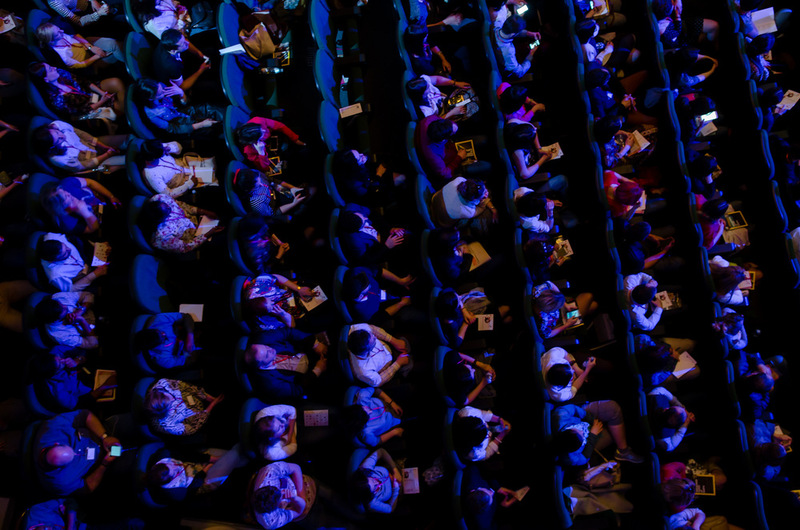 Here is a picture looking down into the audience of TEDxTbilisi 2016. Our photographers are uploading the photos to Flickr (preview here), we will be in touch with all guests to send the post-event survey shortly, and are working on editing the videos. More here once all the photos are available, and we will also let you know when the videos are out. Thanks for joining, and again thanks to our partners & sponsors who made this event possible!